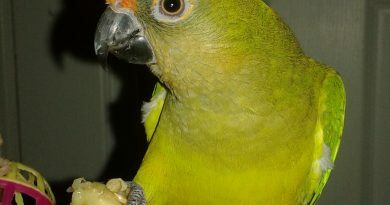 Jady is a 31 yr old Orange Wing Amazon parrot. 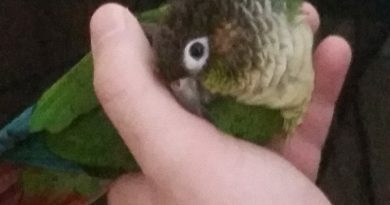 Jady came to Birdline with very poor feather condition due to nutrition deprivation, as well as a serious distrust of us humans. We are happy to report that Jady has taken to a better diet of Zupreem and Harrisons pellets, along with her fresh vegetables and a sprinkle of seed mix each day. 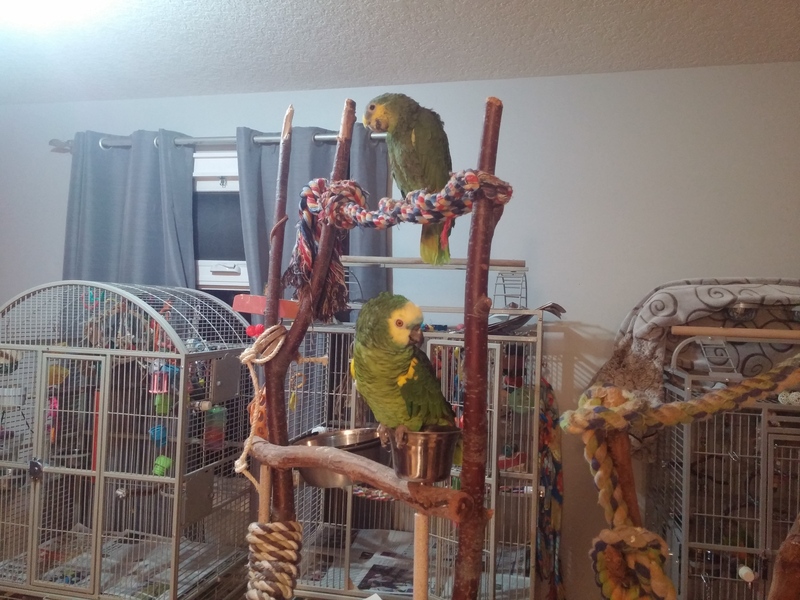 Jady has also learned to step up (if you have a pistachio treat! ), and loves to fly! 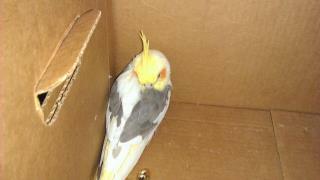 She will come fly into the living room so that she can hang out with the flock and watch what is going on. 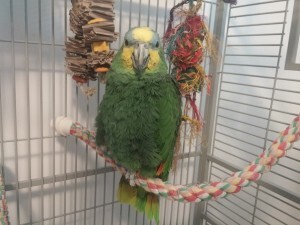 A home with other parrots to keep Jady company would be great. 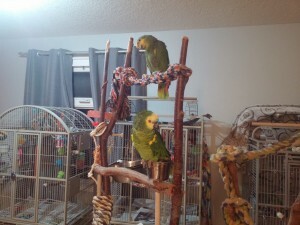 She loves to hang out with the other amazons and doesn’t mind sharing a perch in the evening. 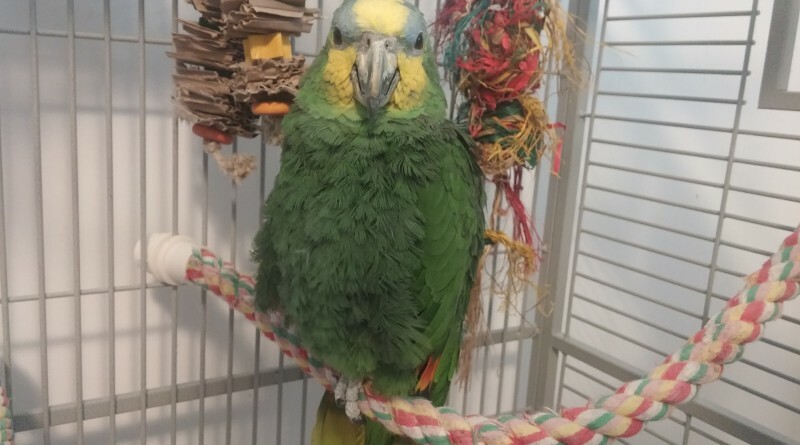 Jady is available now for adoption, and would love to meet you! Please fill out the guardianship application below if you are interested in Jady.